While investigators have determined PG&E starting multiple California wildfires in 2017, PG&E is facing allegations that its equipment started the 2018 Camp Fire, the deadliest and most destructive blaze in state history. 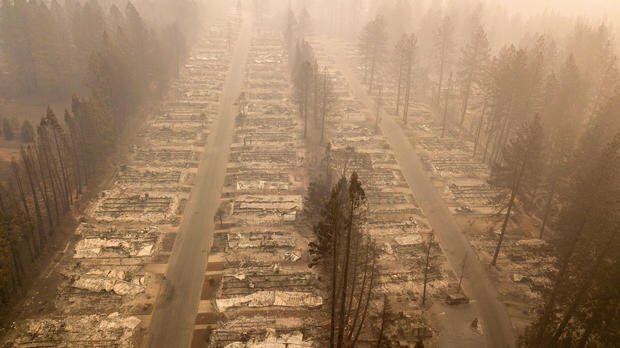 The company could face murder charges if found responsible for starting the Camp Fire, and it is already facing numerous lawsuits. “PG&E expects that the Chapter 11 process will, among other things, support the orderly, fair and expeditious resolution of its potential liabilities resulting from the 2017 and 2018 Northern California wildfires,” the utility stated in a press release. On Sunday, PG&E provided a 15-day advance notice for filing for Chapter 11 bankruptcy. The company said it expects to have approximately $5.5 billion of committed debtor-in-possession financing when it files for bankruptcy. The financing will provide PG&E sufficient liquidity to maintain its ongoing operations, the company stated. Electric and natural gas service are expected to continue without interruption during the bankruptcy process. Also, PG&E employees are expected to continue receiving their normal pay and benefits, the company said. The Chapter 11 process will allow the utility to work with regulators and policymakers to determine the most effective way for customers to safely receive electricity and natural gas in the long-term. Williams, whose resignation was announced Sunday, had served as PG&E’s CEO since March 2017. She was replaced by John R. Simon. Prior to being appointed interim CEO, Simon served as executive vice president and general counsel for PG&E. Simon has been with the company since 2007. Richard C. Kelly, the chair of the PG&E board, said the company’s directors believe Simon is the right interim leader while they search for a new CEO. “Our search is focused on extensive operational and safety expertise, and the board is committed to further change at PG&E,” Kelly said in a statement. PG&E shares closed last week at $17.59, down from nearly $50 in early November. This is why essential services can’t be left to the free market. Or be handled as a monopoly. One can also state essential services shouldn’t be left to the government to handle or administrate. Not to worry about your power getting unreliable Greko energy is making a bid to take over. Either way remember PG&E filed for bankruptcy in 2001 IIRC under Grey Davis. A deal was worked out with Ca to make the rate payers foot the bill for and and all liabilities so grab your checkbooks. Just remember your in paradise, ha,ha.. This is the model for gross failures on the part of an organization – the CEO resigns. So why does the Grover Beach City Council CONTINUE to appoint the SAME people to lead grossly failed public agencies – Jeff Lee to the Integrated Waste Management Authority after SIX years overseeing graft and corruption – Barbara Nicolls and John Shoals to the South SLO County Sanitation District, ruling over tens of millions of dollars mis-spent for the past 15 years. That’s the way government works. Remember the California Rail Authority was found to have gross mismanagement and yet Governor Brown on his way out the door re-appointed the same people to continue to run it, go figure. To keep the dirt covered up and the skeletons in the closet. I found this online: Williams had also been with PG&E since 2007, and in March 2017 became the first Latina CEO of a Fortune 500 company. In 2017, she made $991,667 in base pay and $7,600,410 in total compensation. comments? Hmmm…..does this bankruptcy filing effect PGE’s status as a target for extortion too? Isn’t the plan to force them to keep paying millions of dollars to SLO schools (not North County) at risk because of bankruptcy? Oh well. No big deal. Tax the rich and make them pay extra for their electricity. That and a restriction of individual liberty will fix everything. The severance pay will be enormous. The utility rates will go up and the insurance companies will also up the rates in California. And i would imagine that the state will increase taxes to cover the costs too. Shame on all Californians you will be punished for living there.